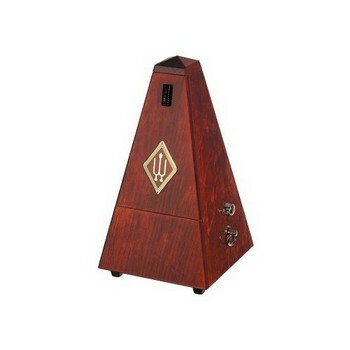 The Wittner Standard Metronome is the classic metronome. Made in Germany, it is extremely accurate and with the windup mechanism will last forever. The speed is set by the adjustable counterweight. The key can be kept in the bottom of the metronome for easy storage. This series includes a wood case and a bell.